A positive influx of new residents to a community indicates that a city is thriving enough to attract new residents. Attracting national talent to Louisville will strengthen our local economy. Additionally, growing our regional and cultural diversity with new residents will enrich the vibrancy of our communities. 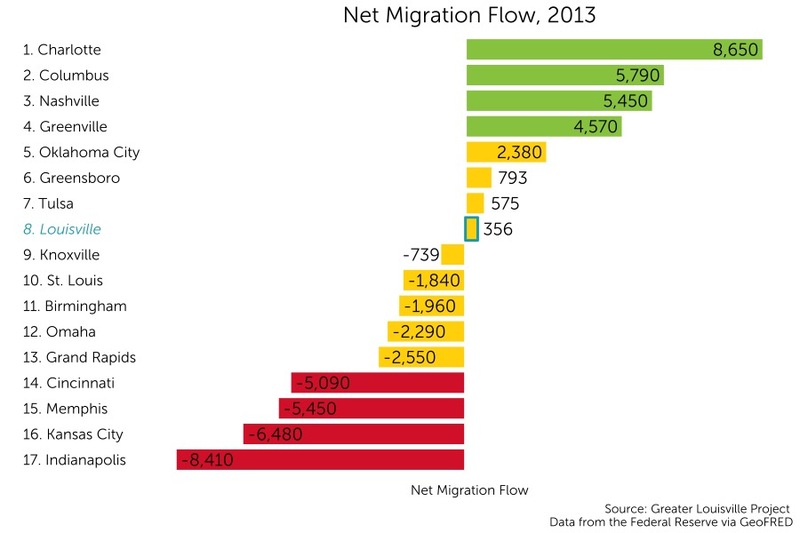 Louisville currently ranks 8th among its peers in net migration flow with a net migration flow of 356 residents in 2015. In addition to Louisville, only seven of its peer cities had a positive net migration rate in 2013. Net migration flow is established through ACS survey data, which tracks whether respondents have lived in the same residence as one year ago and, if not, the location of their previous residence. Louisville’s net migration flow has been decreasing since it peaked in 2010 at approximately 9,000 new residents. 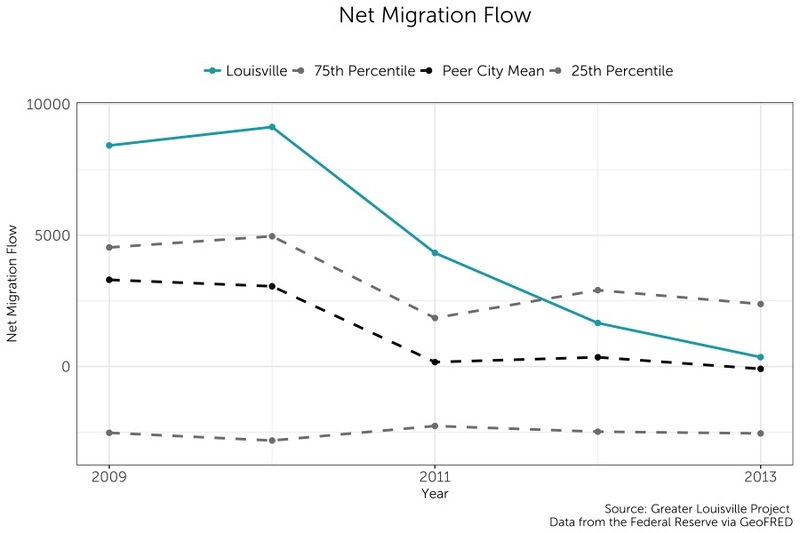 Despite the steady decline since 2010, Louisville’s net migration flow remains positive and greater than its peer city average. Since 2011, Louisville’s peer city average has been approximately zero.